Agoda - Book hotels online. Deep discounts on 1,400,000+ properties, worldwide. Austrian Hotel Reservation - Online booking and information for hotels and accomodations in Vienna, Prague, and Budapest. Automobile Association UK: Accomodation Search - Where to eat and stay in Great Britain and Ireland. 8,000 AA-approved hotels and B&Bs. Bestfares - Find and compare the cheapest travel deals on tickets, flights, hotels, airline tickets, and vacation packages. Booking.com - From cozy country homes to funky city apartments - worldwide. Brussels Hotels - Hotel information and discount online booking in Brussels, Belgium. CouchSufing - An international non-profit network that connects travelers with locals in over 230 countries and territories around the world. Expedia - Hotel and vacation rental lodging. Google Hotel Finder - Browse hotel photo galleries, read visitor reviews, and discover the popular areas of the city. Great Hotels of the World - A collection of the world's finest luxury hotels. Hipmunk - Search hotels. Compares top hotels and travel sites. Hotel Club - Worldwide online hotel reservation service. Hotel Discounts - Hotel information, discounts. HotelDir - Hotels reservations directory with thousands of locations worldwide. hotelguide - To find a hotel, just enter the name of a city and/or the name of a hotel. One of the largest hotel directories on the Internet. hotelreservation - Reserve hotels, motels, bed & breakfast inns worldwide. Hotels - Hotel reservations worldwide. Hotels.com.au - Hotels in Australia and worldwide. Hotelseye - Discount hotels worldwide. Hotels in Russia (Hotels Reservation Centre) - Choose deluxe, superior, middle class or budget hotel you like from over 150 hotels in Moscow, St. Petersburg or other Russian cities. hotelUS - Discount hotels; discount hotel travel search. Hotwire - Find hotels, motels, resorts, and other accomodations at discounted rates. Lanier Publishing's TravelGuides - Features over 70,000 accommodation listings in searchable databases to help you find the perfect vacation getaway spot. Leading Hotels of the World (LHW) - To be considered for inclusion, a hotel must be in the luxury category and meet the most exacting standards with respect to accommodations, service, cuisine, employee behavior and facilities – in short – all aspects affecting guest comfort, convenience and mood. Orbitz: Hotels - Hotel search. Places to Stay - Reservations for resorts and hotels worldwide. Point Reyes Lodging - An association of individual properties offering a diversity of lodging options including traditional bed and breakfast inns, cottages, lodges and luxury suites. Each property is locally owned and operated in beautiful West Marin at the gateway to the Point Reyes National Seashore - less than an hour from San Francisco and the Napa/Sonoma wine country. Popular Hotels - Lists popular hotels in many parts of the world. Prague Hotels and Serviced Apartment Rental - Over 40 premium residential apartments in Warsaw, Krakow and Prague - provided with signature furnishings and services - are ready for sublet. Prague-Rooms - Offers accommodations in a wide range of hotels, bed and breakfasts and apartments mostly located in the center of Prague. Priceline - Hotel and flight reservations. Skyscanner - Global travel search site, providing instant online comparisons for millions of flights, as well as car rental and hotels. Small Luxury Hotels of the World - Keyword, geographic, or themed search engines for luxury hotels around the world. Sonaco Travel Club - Hotel and city guide. the-hotels - Hotel reservations and discount hotels. More than 35000 properties in 6000 destinations worldwide. Thistle Hotels - Hotel accomodation in London and the UK. Trampolinn - Homestay with local hosts worldwide. Stay at locals' and share experiences around the world in more than 150 countries. TripAdvisor - Reviews of hotels, resorts and vacations. VacationSpot - Find a getaway. Over 25,000 poperties at over 4000 destinations. UK Hotels and Guest Houses - One of the largest known UK Hotel and Guest House directories featuring over 10,000 places to stay. VaycayHero - Professionally managed vacation rentals. Search and book online. Visitus B&B UK - A comprehensive guide to over 6,000 providers of bed & breakfast accommodation in the UK. World Executive Hotel Directory - Luxury hotel accommodation, hotel discounts and city guides. WWOOF - A worldwide movement linking volunteers with organic farmers and growers to promote cultural and educational experiences. Ann Tysons Guest House - Bed and breakfast self-catering cottages located in the the centre of the English Lake District village of Hawkshead, Cumbria County, England. Bed and Breakfast Avenue - Bed and breakfasts, inns, lodges, and historic properties accommodations directories for North America. Bed and Breakfast in Italy - Bed & Breakfasts, Guest Houses, Holiday Homes, Accommodations, Apartments, Inns, Hostels, Country Houses and Cheap Stays in Italy. Bed & Breakfast Inns Online - Choose from over 5,200 B&Bs with more than 20,000 color pictures and 4,000 special packages. Bed and Breakfast List - Internet guide to fine bed and breakfasts and country inns. Inn Directory - Bed and breakfast inns around the world. Inn Finder - Bed and breakfasts, country inns, small boutique hotels search engine. International Bed and Breakfast Pages (IBBP) - A starting point for travelers searching for B&Bs, inns, and small hotels around the world. Listings provide you with basic information. If you want to learn more, a link is provided to the accommodation's home page. Internet Guide to Bed and Breakfasts - Information on over 5,000 bed-and-breakfasts and country inns throughout the U.S. (plus a growing number in Canada and around the world. Pamela Lanier's Bed and Breakfast Guide - Current B&B inn events, specials and discounts. Swan Levine House - Relax with art and history in Grass Valley, California. Waverley Inn - Victorian elegance at bed and breakfast inn - Halifax, Nova Scotia. Airbnb - Whether an apartment for a night, a castle for a week, or a villa for a month, Airbnb connects people to unique travel experiences, at any price point, in more than 34,000 cities and 191 countries. Approved Holiday Cottage Guide, The - Over 2000 holiday cottages, apartments, log cabins. Beautiful Places - Luxurious villas in Northern California wine country, France, Italy, and Mexico. Behomm - Home exchange community. Caribbean Way - Choose your favorite Caribbean villa rental from over 800 luxury Caribbean villas on Barbados, Jamaica, St. Thomas, and over 20 other Caribbean Islands or spoil yourself by renting a Caribbean villa on an entire private island of your own. CyberRentals - Vacation rental directory. Site lists homes, condos, chalets, and other real estate available for rent directly from homeowners and selected rental agencies. Farm Stay UK - A network of over 1200 farms providing both bed and breakfast and self catering accommodation throughout the United Kingdom. Purpose is to promote the concept of farm tourism in the UK. FlipKey - Find deals, guest reviews, and a comprehensive selection of more than 300,000 vacation rentals around the world. Helpful Holidays (HH) - Booking agent for over 450 properties. HH has been a family business since 1982, a partnership of Su, Euan and Moray Bowater. Based in Chagford (UK) within the Dartmoor National Park, it is at the heart of the West Country and knows the cottages it lets very well. Homeaway - Find and book vacation rentals. Everything from cabins and condos to castles and villas. House Trip - Choose from a wide range of affordable holiday rentals from all over the Globe, and book securely online. From charming country cottages, spacious villas with private swimming pools to stylish city centre apartment rentals, choose from thousands of quality self catering holiday rentals available to book with owners direct. International Home Exchange Network (IHEN) - Devoted to the listing of home exchanges and private rentals. Invented City - An international home exchange agency. Provides access to members from all over the world who exchange their homes (houses, apartments, flats) for short and long-term travel. Abruzzo Villa Rental - Private villa rental overlooking panoramic views of the Abruzzo countryside and Adriatic Coast. Affito.it - Private houses and flats for rent. Beautiful Places: Italy - Luxurious villas. Bortolai.it - Homes, apartments and other rental properties in Genoa. Casa.it - Real estate houses and flats for rent in Milan, Turin, Rome, Naples. Cottages to Castles: Italy - Villas in Italy. Engel & Völkers - Italian residential real estate. Gate-away - Italian property portal dedicated solely to foreign users. Global Property Guide: Italy - Listings of international real estate for sale in Italy. Heron Real Estate - Lake Cuomo luxury real estate. Homes and Villas Abroad - Properties in Italy. Homes in Italy - Based in the UK but with an Italian office in Padova (Veneto), which provides advice and support to clients during the purchase process. Nnetworks with qualified and registered Italian estate agents throughout Italy. Houses of Italy - Be it an apartment, villa, townhouse or rustic run down building in need of total renovation Houses of Italy offers full 'before, during and after' care that you may need for your property in Italy. Idealista.it - Houses and apartments for rent with private and estate agencies. Immobiliare.it - Real estate throughout Italy. Thousands of listings. Italian Houses for Sale - Properties in Italy. Italy Magazine - Property for sale in Italy. Key to Italy - Vacation rental accomodations. OwnersDirect: Italy - Book a holiday rental direct from owners. Parker Villas - Italy vacation rentals: homes, villas, and apartments. RealPoint - Properties for sale in classic Italy. Realtor.com: Italy - Property for rent in Italy. Rentvillas.com: Italy - Italian villas in Italy for rent. Rightmove: Italy - A UK property portal. Slow Travel: Italy - Find the information you need to select and book a vacation rental in Italy - a villa in Tuscany, a cottage on a farm in Umbria, an apartment in Rome - everything you need to make your decision is here. SoloAffitti - Italian property and agency search. Sotheby's International Realty: Italy - Luxury homes for sale in Italy. Sublet.com - Find Italy deals on sublets, apartments, houses and townhouses for rent. ToscanaHouses - A network of different local estate agencies in both Tuscany and bordering regions. TripAdvisor: Italy - Italy vacation rentals. Tuscany Italy - Tuscan villas, farm house holidays, agriturismi, B&B vacation rentals. VRBO: Italy - Vacation rentals. WikiCasa - Properties throughout Italy. Zoopla: Italy - Property for sale in Italy. Home Exchange - Quickly find your perfect vacation location and property. HomeAway - Once you find that perfect vacation rental, it’s easy to book and pay securely online. Listings that have a “Request to book” button allow you to immediately submit a booking request—and owners / managers have 24 hours to accept your request. onefinestay - Homes-away-from-homes, vetted by onefinestay. Currently operating in London, New York, Parisand Los Angeles. OwnersDirect - Choose from over 775,000 holiday cottages, apartments, villas and accommodation at popular destinations. Save money and book holiday rentals with owners directly. Roost Apartment Hotel - Flexible-stay residences in Philadelphia. Purposely designed and newly constructed to create ideal temporary living environments. All of its apartments feature full-size kitchens with cookware and utensils, walk-in rainfall showers with frameless glass shower doors, and king size beds. Slow Travel - Vacation rentals: Italy, France, UK and Ireland, Switzerland, Spain, North America. Vacation Rental Managers Association - Extensive directory of property managers provides information on thousands of vacation rental properties worldwide. Vacation Rentals by Owner - Vacation rental site provides a reliable and inexpensive method for vacation property owners to let the world know about properties available by owner and the advantages of dealing directly with the property owner. VillaNet - Specializes in villas, castles, farmhouses historic apartments and bed & breakfasts in Italy, France, Portugal and the United Kingdom. VRBO (Vacation Rentals by Owner) - Vacation rentals worldwide. Adelaide Hostel - Located in the former Adelaide Inn and Hotel, a building full of old world charm less than two blocks from Union Square in downtown San Francisco, California. With both full private rooms and dorm style rooms, the Adelaide Hostel is ideal for the hostel traveler, the budget traveler, and a backpacker's dream. Chelsea International Hostel - Located in the historic Chelsea District of Manhattan. Just north of Greenwich Village and south of Midtown Manhattan, it is between 7th & 8th Avenues. "Our hostel was opened in 1993 with just 40 beds, we now have 350 beds, making us the biggest independent hostel in New York. We are open 24 hours. The Chelsea district has the lowest crime rate in all of Manhattan. We have a professional security staff and all our common areas are under constant video monitoring. Our property is maintained around the clock by a highly motivated maintenance and maid staff. Our front desk staff is comprised of people familiar with New York and the surrounding Boroughs." Chelsea Star Hotel - Centrally located in Manhattan's Chelsea district, convenient to contemporary galleries, this boutique hotel is perfect for all budgets. Throughout its three floors the hallways are bright yellow with star bursts and custom light fixtures. Underfoot, vivid red carpet softens chrome diamond-plate floors and guest room doors are brushed stainless steel. All rooms have air conditioning. Spend your days exploring New York and your nights in the comfort and fantasy of theme rooms, a dormitory, or the ultimate in luxe guests quarters. All at affordable rates. CouchSurfing - A worldwide network for making connections between travelers and the local communities they visit. Elements Hotel - A winner of the National Geographic Traveler 10 Best places to stay in San Francisco. Chosen by San Francisco Magazine as one of San Francisco's best places to stay. Eurotrip.com: European Hostels - European hostels with readers comments, reviews, web links and contact details. Freehand - Thrifty-chic accommodations, with both shared and private rooms, plus lively cocktail bars and restaurants. In Chicago and Miami. Coming to Los Angeles in December 2016. Generator Hostels - Boutique style without breaking your budget, with hostels in Amsterdam, Barcelona, Berlin, Barcelona, Copenhagen, Dublin, Hamburg, London, Madrid, Miami, Paris, Rome, Stockholm, and Venice. Green Rooms - A new breed of hostel, with private rooms, apartments and dormitories located in London. Designed for artists visiting and working in London, offering affordable accommodation in a beautiful setting that inspires creativity. Hostelling International - Hostelling International, sometimes called Youth Hostelling International is the brand name of Youth Hostels across the world. The HI or YHI logo with the blue triangle, hut and tree is registered as a trademark in many countries. Youth Hostels are run by the national Youth Hostel Association in each individual country under the auspices of the International Youth Hostel Federation (IYHF) which is an international non-governmental, non-profit making organization recognized by UNESCO. Originally created to help young people of limited means to experience the countryside and cities of the world, hostels are now also at the heart of international tourism for a wide age group. Today's hostellers are just as likely to be in their thirties and bring their family by car, as to arrive alone on foot with a rucksack. Hosteling International USA - Affiliated with Hostelling International. Provides affordable accommodations to travellers across the USA with a network of hostels. Hostelworld - Read millions of hostel reviews from fellow travellers and book your next adventure. Internet Guide to Hostelling - Hostelling and budget travel resource. San Francisco Hostels - Three friendly, affordable, international hostels in San Francisco. Cheap, clean, safe, fun, and close to major tourist attractions: City Center Hostel, San Francisco Downtown Hostel, and Fisherman's Wharf Hostel. Sleep - Hong Kong. Capsule hotel blending design and technology to promote a sustainable culture, one quality sleep at a time. Hourly and overnight plans provide flexible options to guests. Online check-in and keyless entry simplifies the user experience. Twizi - Worldwide hostel directory. Vanderbilt YMCA - Nestled on Manhattan's fashionable East Side, the Vanderbilt YMCA offers surprisingly low rates for its guest accommodations, while providing each guest with some of the finest fitness facilities New York City has to offer. Our courteous, multilingual staff can point you in the direction of the many points of interest within walking distance, including the United Nations, New York Public Library, Museum of Modern Art and Bloomingdale's. Offering ideal hostel lodging accommodations, the Guest Rooms include 370 single and twin rooms, and feature TV, air conditioning, housekeeping services, use of safe-deposit boxes, 24-hour security, room service, and luggage storage. The Vanderbilt Y is located near Grand Central Station, which provides the 4, 5, 6, 7 and S subway lines, and Metro-North Railroad for points outside of Manhattan. Abadia Retuerta LeDomaine - Sardon de Duero, Spain. Set amid a 1,730-acre vineyard and farm, Abadia Retuerta LeDomaine on the Duero River near Valladolid, 135 miles north of Madrid, inhabits a 12th-century abbey. Converted into a hotel in 2012, its 22 rooms are considerably less monastic now, some with four-poster beds, garden terraces or wood beams, and all with vineyard views (another eight will open in July). Its restaurant, Refectorio, occupies the abbey's former dining hall and earned its first Michelin star. AccorHotels - A French multinational hotel group, part of the CAC 40 index, which operates in 94 countries. Headquartered in Paris, France, the group owns, operates and franchises 3,700 hotels on 5 continents representing several diverse brands, from budget and economy lodgings to five-star hotels. Also see Wikipedia. 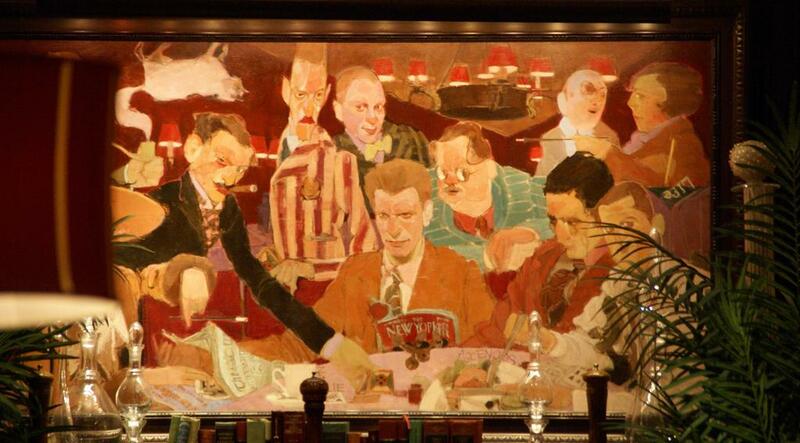 Algonquin Hotel - Famed literary gatherings. Echoes of some of the world's most celebrated cabaret singers. A singular environment of inspiration that spawned the creation of The New Yorker magazine. All of these things are impressive in their own right. More impressive still is that they all occurred at The Algonquin Hotel Times Square. In 1987, The Algonquin was designated a New York City landmark, and in 1996 it was designated a literary landmark. Andaz Maui at Wailea - A $90 million renovation has turned the Renaissance Wailea Beach Resort into the Andaz Maui at Wailea Resort & Spa. The Rockwell Group handled the design, creating a dramatic entry bridge that passes over an infinity pool. The 290 rooms, including seven villas, have a mod-surfer feel, with lava stone floors, white walls, walnut and teak furnishings and private verandas. Aria Hotel - Budapest. From the owners of the Library Hotel in New York, Aria inhabits a former 19th-century bank with 49 rooms, each designed in the spirit of jazz, contemporary, classical or opera scores, with a music library loaded on in-room iPads. Guests can ogle the domed St. Stephen's Basilica from the hotel's rooftop High Note Sky Bar, featuring a garden terrace and a Hungarian farm-to-table restaurant. Arlo Hotels - Opening in fall 2016 in New York [at 231 Hudson Street and 11 East 31st Street]. Rooms will be compact in favor of generous social spaces that will include a lobby bar, living room, library and courtyard. Atlantis, The Palm (Dubai) - Five star resort at Palm Jumeirah in Dubai, United Arab Emirates. It includes a water theme park (525,000 square feet), a conference center, and 20,000 square feet of retail space. The Palm Jumeirah itself is one part of a trilogy including the larger Palms Jebel Ali and Deira. Barbuda Belle - Boutique hotel located on one of the most beautiful beaches in the Caribbean. Basecamp Hotel - A boutique hotel built for exploring the incredible lakes, trails, and mountains in the Lake Tahoe Basin. Located in the heart of South Lake Tahoe, a short 5 minute walk to the lake and an even shorter 4 minute walk to the Heavenly Gondola. Its fifty stylish rooms are designed for adventure and relaxation seekers alike, with modern amenities, plenty of style, and affordable prices. Beat Hotel - A center for study, research, conversation, and recreation with others interested in William S. Burroughs. The hotel contains original art, manuscripts, photographs, and other materials that may be viewed, studied, and discussed over a free breakfast (or at any other time of day). Desert Hot Springs, California, USA. Bellagio Hotel & Casino - Las Vegas, Nevada. Biltmore Hotel, The - A national historic landmark minutes from Miami International Airport in Coral Gables, Florida. Full resort amenities featuring golf, tennis, fitness center and spa. Breakers, The - Palm Beach, Florida. Caravelle Hotel (Vietnam) - The Caravelle has been at the center of Saigon society since the hotel was opened in 1959. In 1998, an elegant 24-storey tower was built as a complement to the original 10-storey building. With commanding views of the city and an enviable location opposite the Opera House, the landmark hotel is at the heart of a city once renown as the Pearl of the Orient. Carlyle, The: A Rosewood Hotel - An emblem of New York glamour and luxury. Nestled in the heart of the Upper East Side, the hotel is legendary for its first-class combination of discretion and grace. Also see the Events at the Carlyle page. The Carlyle is known for featuring top musical talents in both Bemelmans Bar and the Cafe Carlyle, including: Sutton Foster, Loston Harris, Judy Collins and Woody Allen & the Eddy Davis New Orleans Jazz Band. Casa Bianca - Montreal's finest boutique maison d'hôte. Located on the park, enjoy spectacular views from the rooms and suites facing Mount Royal. The house is an architectural gem, and the interior's restored details are original to the century old urban chateau. Elegant, modern design complements the spacious rooms, with large private bathrooms, vintage clawfoot tubs and majestic views of the park and mountain. Casa Camper Barcelona - A design hotel located in the multicultural heart of the city in the Raval area, full of galleries (including the MACBA), bars, little restaurants, and only 2 minute walking distance from Plaza Cataluña. The building, a typical 19th-century gothic tenement, was restored by architect Jordi Tió and perfected by an interior from Ferran Amat of Vinçon. It now stands as one of Barcelona's premier boutique hotels. Casa Del Mar - True to a storied past, the grande dame of Santa Monica reopens her doors, reviving a reputation as one of the most luxurious hotels on the Southern California Coast. Charing Cross Hotel - At the heart of London between the Strand and Thames Embankment, this famous Grade II listed Victorian railway hotel has been totally refurbished to provide every modern convenience, including conference facilities. The unique character and position of Thistle Charing Cross, minutes from Covent Garden and the West End, makes it an ideal hotel for sightseeing or business. Christopher St. Barth - Poised out on a promontory in chi-chi Pointe Milou, the sound of the surf provides the perfect score to breathtaking panoramic views. Guests settled in poolside on the comfy lounges, gaze out at the neighboring islands. Columbia Hotel (Ashland, Oregon) - The Oregon Shakespeare Festival is 1 block from the hotel, making The Columbia (an historical landmark) an ideal accommodation in Ashland, Oregon for travelers attending the plays as well as for those who desire unique style, complimentary wireless internet, and downtown location surrounded by great restaurants. Continental (Vietnam) - Opened in 1880, the Continental Hotel has been a central Saigon landmark for almost a century and a quarter. The Continental has undergone sympathetic yet thorough restoration in recent years and the hotel now boasts some of the most elegant rooms and public spaces in the city, which quality of four star hotel. Guests calling the Continental home have included French writer Andre Malreaux and Briton Graham Greene (Room 214), who wrote The Quiet American, a book about the warning days of French Indochina and the beginning of the American presence in Vietnam. Crater Lake Lodge - Truly a grand northwest lodge, the historic 71-room Crater Lake Lodge originally opened in 1915 and is located on the edge of the caldera overlooking Crater Lake in Oregon. The lodge was reopened after extensive renovation in 1995 and offers an atmosphere reminiscent of the 1920s, immersing visitors in its rustic charm. Desert Pearl - On the river's edge at the entrance to Zion National Park (Utah, USA). Native stone walls and sun-hued stucco are framed by beams of old-growth Douglas fir and redwood reclaimed from a 100-year-old railroad trestle that once spanned the Great Salt Lake to blend Inn with land. The private balconies and terraces of our spacious rooms open onto towering red rock formations alongthe tree-lined river. A bench at the water's edge, the sound of a soothing waterfall, handcrafted one-of-a-kind furnishings -- each element artfully chosen for both its beauty and its function. Deutscher Kaiser - Family owned, family run. Baden-baden, Germany. Dorchestor Collection - A portfolio of some of the world’s foremost luxury hotels in Europe and the USA. Emblem Hotel - Prague. Designed in Art Deco style, with a lobby clad in richly patterned brown marble, the recently opened Emblem Hotel is on a side street near Old Town Square. Most of its 59 rooms, one of which is shown above right, are decorated in soft neutrals. Some offer French doors that open onto the street. Its restaurant turns into a steakhouse at dinner, and a series of basement rooms are a private club for guests with games and tablet computers. A spa occupies the top two floors, where an outdoor terrace with a Jacuzzi offers views to Prague Castle across the river. Fairmont Hotels and Resorts - Distinctive, luxury destinations. Finch Bay Eco Hotel - The award-winning Finch Bay Eco Hotel lies just steps from the beach in a secluded location, across the bay from Puerto Ayora on the island of Santa Cruz, in the middle of the Galapagos. It offers an alternative way of experiencing the Galapagos Islands to taking an expedition cruise. Its all-inclusive Galapagos tour programs, which can range from 3 to 7 nights, combine exploring visitor sites within the National Park, aboard the hotel's own yacht, with days full of learning and relaxation closer to the hotel on Santa Cruz Island. Fountainebleau Miami - Following a $1 billion renovation, the 22-acre oceanfront hotel features signature restaurants by award-winning chefs; two chic nightlife venues; a two-story, 40,000-square-foot spa, expansive poolscape, a pristine atlantic ocean beach and state-of-the-art conference and event facilities. A landmark since its debut in 1954, Fontainebleau has been restored and transformed by a team of renowned architects and designers to create the most dynamic destination resort on the eastern seaboard. Four Points by Sheraton Havana - The first U.S. managed hotel on the island of Cuba in over 50 years, began operating 29 June 2016, under the administration of the Starwood chain, in association with Cuban state enterprise Gaviota. Four Seasons - Hotels and resorts. G-Rough - Rome, Itlay. 10 suites over 5 floors are an expression of art with a designer ambience, almost a living museum in which to celebrate the Italian designers of the ’40s, ’50s and ’60s. The work of Giò Ponti, Ico Parisi, Silvio Cavatorta, Venini, Seguso exudes every corner, instilling an artistic and alternative soul. Gaia Hotel and Spa - Anderson, California. An eco friendly hotel in Northern California, Gaia Hotel and Spa offers comfortable and relaxing suite accommodations while enjoying the peace of the outdoors. GoldenEye Hotel & Resort - Luxury villas in Jamaica. Grand Amore Hotel and Spa - Florence, Italy. Two blocks from the Duomo and steps from the Piazza della Santissima Annunziata, anchored by a Renaissance-era orphanage, the new 11-room Grand Amore Hotel and Spa is a boutique property from the Ricci Collection, operators of other small hotels in Florence. Rooms feature tufted headboards, marble-clad bathrooms and vintage black-and-white photos from the Florentine photo company Fratelli Alinari. Management promises soundproof rooms, and a small spa with a steam room and Jacuzzi for post-passeggiata relaxation. Grand Hotel Leveque - Situated on La rue Cler, one of the last authentic market streets of Paris, France. Grand Hotel Tremezzo - Lake Como, Italy. The hotel's origins date back to the early 1900's, the era of romantic grand tours, long voyages and illustrious travellers. Lake Como was already an obligatory stopover on the international tourist circuit and a favourite destination with the elite: rich and cultured foreign visitors from England, Germany, France and Austria, as well as Belgium and Switzerland, and even from Tsarist Russia. Grosvenor House, London - From its lobby to its Park Room restaurant and bar that overlooks Hyde Park, the hotel's aesthetic blends a contemporary look and feel with classic luxury. Guoman Hotels - An exclusive collection of deluxe London Hotels: Charing Cross, The Cumberland, The Royal Horseguards and The Tower. Hacienda AltaGracia - The property channels Costa Rica's cowboy culture in an equestrian program featuring horses for every skill level, from beginner to wrangler, on private trails or within an enclosed riding ring. Guests can also take sightseeing trips aboard an ultralight aircraft or visit nearby Chirripó National Park, home to the tallest peak in the country. Among pampering features, the hacienda hosts a 20,000-square-foot spa with two indoor treatment rooms and four outdoors under palapas. Half Moon - Beautifully landscaped gardens, a nature reserve that is a haven for wildlife, 197 rooms and suites scattered amongst white-rendered cottages and 24 capacious Villas, all fronted by two miles of private beach, one of the loveliest in Jamaica. Hilton Hotels - Owns, manages or franchises 1,800 hotels, resorts and vacations ownership properties. Hollmann Beletage - In a hidden courtyard in Vienna's historic center, just a few blocks from St. Stephen's Cathedral, the Hollmann Beletage houses 25 rooms in a former 19th-century noble's home. Period walls conceal lively contemporary interiors, with splashes of orange, its signature hue, in everything from throw blankets to sheer drapes that cover glass-walled showers. Public areas include a garden terrace, eight-seat cinema and game room. Its contemporary Austrian restaurant, the Hollmann Salon, sits on a Baroque courtyard known as Heiligenkreuzerhof around the corner. Hotel 1898 on Las Ramblas - Located in the old headquarters of the Philippine Tobacco Company in Barcelona, Hotel 1898 offers exclusive suites featuring private garden and pool, and five different kinds of rooms, all equipped with soundproofing and fitted with colonial decor and furnishings. Its privileged location in the center of Barcelona gives H1898 guests access to the city's most popular attractions and tourist destinations. From the heart of the Rambla, Plaza Catalunya, the Boquería marketplace, Liceu Theatre, Gothic cathedral, the Port Vell and the Born neighborhood, with its stunning Santa María del Mar church, are all just steps away from the hotel. Other nearby points of interest include the Catalan Music Palace, the Pedrera and Casa Batlló, Montjuïc, the Picasso Museum, the MACBA (Museum of Contemporary Art), and the CCCB (Contemporary Culture Center). Hotel Arts Barcelona - Designed by the distinguished architect Bruce Graham of Skidmore, Owings and Merrill, the Hotel Arts is part of Barcelona's recent cultural renaissance, and as modern as the city itself. A landmark on the Barceloneta boardwalk, with 483 sea or city view rooms including 56 executive suites, one Arts suite, one Mediterranean Suite, 26 duplex Apartments, one Royal Suite and one Presidential Suite. The hotel's terraced gardens bask in the dappled shade of Frank Gehry's monumental golden fish sculpture, one of Barcelona's most iconic works of contemporary public art. Hotel Chelsea - "Everybody knows about it. Everybody knows it's a different kind of place, from the moment they walk in the door. The lobby looks like an art galley or museum. You have the feeling that there's something different from this hotel--you don't even have the feeling of a hotel, more that you're walking into a place that is history." - Stanley Bard. Hotel De Anza (San Jose, California) - Classic architecture, modern comfort and exceptional hospitality. Located in the heart of downtown San Jose and within walking distance to restaurants, attractions, the San Jose Convention Center and SAP Center. Hôtel de Glace - Quebec City - Sleep in a structure made out of ice and snow with ceilings as high as 16 feet, walls covered with original artwork, furniture carved in ice blocks. Two art galleries, a movie theatre and the famous Absolut Ice Bar. Hotel de Russie - Rome, Italy. A fascinating mix of old and new, with a modern design that respects the classical architecture of the historic building. Located on Via Del Babuino, close to the Spanish Steps, the hotel has striking views over Piazza del Popolo. Hotel des Galeries- Brussels. Twenty-three rooms overlook the elegant passageway, or surrounding rooftops near the central Grand Place. Hotel Eden - Rome, Italy. Located in the heart of the Old City of Rome, the newly restored Hotel Eden is just a short stroll from the legendary Spanish Steps and picturesque Villa Borghese. This elegant city oasis dates back to 1889 and throughout its illustrious history has welcomed royalty, dignitaries and numerous celebrities. The beautifully redesigned 98 rooms and suites offer a luxurious and classical feel with fine fabrics and elegant artwork. Hotel Ella - A multi-million dollar renovation led by local architect Michael Hsu has given the Hotel Ella a sleek, contemporary interior. Situated in central Austin, Hotel Ella opened on 25 Sep 2013, with 48 rooms, including 10 in the original house. The rest are in an annex that was built in the 1980s; between the two is a lap pool lined with cabanas. Hotel Parque Cental (Havana, Cuba) - Combines the elegance of the Spanish colonial style with modern services and installations. The terrace and tropical bar with a swimming pool located on the top floor of the hotel, as well as the meeting rooms have splendid views of Havana. Excellent location facing Parque Central, near Paseo del Prado, Capitolio Building and Old Havana. Probably the best hotel to stay in if you want to experience old Havana. Hotel Saratoga (Havana, Cuba) - Regarded by many as the highest quality hotel in Cuba. Havana's Hotel Saratoga is an elegant, eclectic style building with marked neoclassical features, located on one of the busiest streets in the Cuban capital. The Hotel Saratoga dates back to 1879, and was then located right across from Fraternity Park, at the time known as Campo de Marte. Sometime between 1915 and 1925 the hotel is relocated in its present setting, but only occupied the third floor. Later, in 1933, the magnificent Hotel Saratoga takes up the whole building. Hotel Valverde - On the grand Avenida da Liberdade, Lisbon. Attractions include a garden where tea and drinks are served, a living-room-like lounge and a small outdoor pool. Its 25 bedrooms, painted in rich colors intended to inspire relaxation, mix vintage paintings and contemporary furniture. Its fittingly boutique restaurant, seating 27, serves Portuguese fare. Hotel Waldaus - Located in Sils-Maria, Switzerland, an unspoiled and peaceful mountain village, seven miles from St.Moritz. Owned and managed by the same family since 1908, it combines modern five-star comfort with the charm and spaciousness of an earlier era. Beautiful walking and hiking trails, excellent downhill and cross-country skiing. Hotels in Amstrdam - Provides our visitors with updated information on hotels in Amsterdam, and offers the possibility of instant reservation - free of charge, with no advance payments. Hyatt - Hyatt Hotels and Resorts - luxury hotels around the world. Jamaica Inn - Intimate Jamaican hotel. Juvet Landscape Hotel - Valldalen, Norway. Situated in the farmyard of Burtigarden farm at Alstad in Valldal, on a steep, natural levee in between birch, osp, pine and age-old boulders. The hotel consists of nine individual and unique rooms that are spread out in the landscape. In addition, it is possible to stay in the old houses on the farm - the mill house, the shed and the old farmhouse - while food serving takes place in the old barn. Laluna Granada - Has just added seven three-to-five-bedroom villas, each with an infinity pool and access to a private beach. For those whose housing requirements are more minimal, 16 Asian-accented cottages feature outdoor showers, carved teak day beds and plunge pools on the decks. The Italian owner imports olives, wine and cheeses from back home, and the hotel channels a Zen vibe with daily yoga classes in a beachfront pavilion and a three-treatment-room spa with Balinese therapists. La Reserve Paris Hotel and Spa - Conjures turn-of-the-20th-century elegance in a period home once owned by Pierre Cardin. The designer Jacques Garcia oversaw the renovation, which features silk on the walls, velvet drapes and parquet floors in its 40 rooms, partly furnished in antiques. Amenities include an indoor swimming pool, three-treatment-room spa, orange garden and upscale French restaurant. Landing, The - Lake Tahoe resort and spa. Le Meridien Bali Jimbaran - Mixing contemporary culture with its European heritage, Le Meridien creates a culturally refined, meaningful and stimulating atmosphere. Lesic Dimitri Palace - Korcula, Croatia - Built in the 18th century as the bishop's palace in the heart of medieval Korcula, on an island in the Adriatic midway between Dubrovnik and Split, the Lesic Dimitri Palace has five apartment-like suites. Ranging from one to three bedrooms, they include kitchens and are each decorated after a different Marco Polo-inspired destination: Venice, India, China, Arabia and Ceylon. On the edge of the walled town of tiny lanes and terra-cotta-tiled houses, the hotel offers views of the sea, and its restaurant features seating on a terrace atop the walls. Library Hotel - The Library Hotel in New York City is the first hotel ever to offer its guest over 6,000 volumes organized throughout the hotel by the Dewey Decimal Classification (DDC). Each of the 10 guestrooms floors honors one of the 10 categories of the DDC and each of the 60 rooms is uniquely adorned with a collection of books and art exploring a distinctive topic within the category or floor it belongs to. Lodge at Pico Bonito - Luxury eco-lodge located on the doorstep of Pico Bonito National Park near La Ceiba on Honduras's Caribbean coast. Spacious cabins with vaulted wood ceilings come stocked with organic Honduran coffee and furnished with hammocks on the porches, but the real appeal of the lodge is its proximity to the wild, where exotic mammals including jaguars and over 400 species of birds have been spotted. Malibu Beach Inn - Luxury oceanfront hotel destination between Santa Monica and Santa Barbara, offering guests unsurpassed levels of luxury and service on the sands of exclusive Carbon Beach. Mandarin Oriental Hotel Group - Operating in the Asia-Pacific region. Manresa Castle Hotel & Inn (Port Townsend, Washington State) - Comfortable accommodations in a century-old castle, restaurant and lounge, spacious gardens, and breath-taking views of the Olympic and Cascade Mountains. Mantaraya - On the Pacific coast in the state of Oaxaca, also known as the Costa Chica, about 25 minutes' drive from the airport in Huatulco, the seven-room Manta Raya Hotel faces quiet Salchi beach with a swimming pool, beach palapas and hammocks on the guest-room terraces. The Swiss-owned hotel opened in 2011 and prides itself on its culinary focus. Mar Adentro - San Jose del Cabo, at the tip of the Baja Peninsula, 205 rooms, five restaurants and a water-themed spa with steam baths, waterfalls and even water tastings. Mark Spencer Hotel - 409 SW 11th Avenue - Portland, Oregon, (800) 548-3934. Marriott: The London Edition - Located in central London's Fitzrovia. Bbrings together the integrity and character of a historic building with a simple, sophisticated design sensibility to create a seamless blend of charisma and ease. With 173 rooms, a restaurant, two bars, an event space, meeting rooms and an inviting lobby. Millennium Seoul Hilton - In Seoul, South Korea, the massive metropolis of skyscrapers, heritage sites and K-pop in the shadow of Mount Namsan, it's easy to get overwhelmed. Millennium Seoul Hilton is a fully stocked home away from home near the city's business district and entertainment areas. Mercer Hoteles Barcelona - Set among Roman fortifications ande medieval arches, where guests seeking an exclusive and unique experience can inmerse themselves in a singular setting at the very heart of Barcelona's Gothic Quarter. The hotel occupies a collection of buildings with a great architectural significance on Carrer Lledó, built on top of a section of the walls of the ancient Roman city. The distinguished architect, Rafael Moneo, rescued a piece of architectural heritage retaining features from various periods paying genuine respect to history and incorporated a contemporary hotel design. Moorpark Hotel (San Jose, California) - Features a contemporary clubby design, highlighted by neo-traditional style and tailored details. Special features include a billiards loft, heated pool, hot tub, spacious fitness center, business center, conference facilities, and a VIP club level with exclusive services and amenities. The Park Bar & Grill opens to the hotel's sunny courtyard and serves relaxed American fare. Moxy Hotels - Budget hotels, buy infused with modern chic and a vibrant social scene. Worldwide via Marriott. New York Palace - Blending the landmark 1882 Villard Houses with a contemporary 55-story tower built in 1980, this award-winning hotel exudes an ambiance of style and refined beauty. Downtown Manhattan. Nikko Hotels International (NHI) - NHI has 45 hotels worldwide - in Europe, North America and throughout the Asia/Pacific region. Nines, The - 525 SW Morrison, Portland,Oregon; (877) 229-9995. A magnificent contemporary art collection by local artists graces each of the 331 guestrooms, including 13 luxury suites. Plush bedding, 42" HD Televisions, and twice daily maid service completes the picture of approachable elegance. Opera House Hotel - Located in the heart of the South Bronx, allowing guests fast and easy access to Manhattan and neighboring boroughs of New York City. Luxury boutique rooms meet the needs of all high-end travelers at affordable prices for everyone to enjoy. Palace Hotel Tokyo - Located in the heart of Tokyo, the Palace Hotel overlooks the restful pine groves and moats of the Imperial Palace. The Palace Hotel is steps away from the business and financial districts of Marunouchi and Otemachi and close to the world-famous Ginza shopping area. Transport is also close by: 5 minutes to Tokyo Central Station and only 1 minute to the nearest underground station. Narita International Airport is 60 km away (53 min by Narita express train, 80 min by airport shuttle). Haneda Airport (domestic) is 15 km away (30 min by taxi). Palazzo Dama - Rome, Italy. The hotel’s name, in particular, pays homage to Anna Maria Malaspina, an 18th century Marquise who was admired for her refinement and recognized equally for her great many writings and poems as she was for her exuberant, playful and witty spirit. Iberostar Parque Central - A luxury hotel located in the heart of Havana. It is surrounded by numerous famous buildings, such as the Capitolio, The Garcia Lorca Theatre, Art Deco Bacardi Building and the Museum of Modern Arts. Pink Beach Club, The - Bermuda's Pink Beach Club provides 25 pink stucco cottages in a private 17-acre garden setting along 1800 oceanfront, with 2 luxurious and private pink-sand beaches. Playa Grande Beach Club - In Dominican Republic, offers just nine bungalows on 2,000 acres fronting a mile-long beach. Designer Celerie Kemble modeled the cottages, filled with vintage and custom furnishings, on the vernacular wood houses of the island. Each includes a full kitchen, though the central beach club has a restaurant as well as a library and outdoor pool flanked by lattice-framed cabanas. Pottinger Hong Kong - Smack-dab in the middle of the city's vibrant Central District, this charming boutique hotel is clean and crisp with tasteful accents that blend East and West in art and design. Quin, The - Designed by New York architecture firm Perkins Eastman, the hotel aims to be luxurious but not ostentatious. Located a block from Carnegie Hall, a few blocks from Jazz at Lincoln Center and a stroll from Broadway, the Quin has 170 rooms and 27 suites, including a penthouse triplex with its own 1,200-square-foot terrace. Quarters have leather drawer-pulls and door handles. The linens are by Sferra, beds by Duxiana, in-room coffee machines by Nespresso and toiletries from Fresh. The snacks are "artisanal and organic." In the lobby, two-story columns are clad in leather, and handblown glass chandeliers hang from the ceiling. Praktik Hotels - Designer hotels, committed to offering competitive rates in exceptional locations in the centre of Barcelona and Madrid. Public - 215 Chrystie Street, NYC. Refined, sophisticated smart and simple. Raddison - Hotels and resorts. Regent Palace Hotel - Overlooking Piccadilly Circus, at the very heart of central London, providing affordable, basic, quality accommodation. Reid's Palace - Set in subtropical gardens overlooking the Atlantic Ocean, this legendary Orient-Express hotel in Madeira has, for more than a century, been the ultimate place to stretch out in the sun and relax. Renaissance Hotels, Resorts and Suites/Marriott International - Access real-time rates and make reservations online. Ritz-Carleton - Hotels and resorts. Rocco Forte Hotels - Edinburgh, London, Brussels, Berlin, Frankfurt, Munich, Florence, Rome, Sicily, St. Petersburg, Jeddah. Round Hill Hotels and Villas - A luxury collection of villas and oceanfront hotel rooms in Montego Bay, Jamaica. Sandals Royal Plantation - Ocho Rios, Jamaica. An intimate all-butler resort of just 74 ocean view suites tucked into a magnificent coral bluff. Schloss Elmau Luxury Spa Retreat & Cultural Hideaway - Elmau, Germany. Tucked deep in the calm of the Bavarian Alps, a sanctuary, framed by dramatic peaks, whispering forests and rushing streams. A family escape and romantic haven. A place to feast on outstanding food and music - to relax, breathe deep and discover. Shangri-La Hotel at the Shard - London, England. The 34th to 52nd floors of Renzo Piano's iconic building house the hotel, which is Shangri-La's first property in the UK. The hotel is just across the river from The City of London, and a scenic 15-minute river taxi ride from the Canary Wharf business and commercial hub. Relax with a cocktail at Shangri-La's stylish GŎNG bar, on level 52. In the morning, after a dip in the hotel's indoor infinity pool on level 52, explore the galleries of Tate Modern and the majestic architecture of St Paul's Cathedral, both within easy reach. St. Regis - Luxury hotels. The St. Regis family includes The St. Regis Beijing (formally the Beijing International Club Hotel), The St. Regis Grand, Rome (formally the Le Grand Hotel) and, in the United States, St. Regis hotels in Houston, Washington, D.C., Aspen, Dana Point, and Los Angeles. Starwood Hotels and Resorts Worldwide - The parent company of Sheraton, Westin, Four Points, Luxury Collection and W Hotels. Taj Hotels Resorts and Palaces - Luxury hotels in India. Taj Mahal Palace (Mumbai, India) - Built in 1903, the hotel is an architectural marvel and brings together Moorish, Oriental and Florentine styles. Offering panoramic views of the Arabian Sea and the Gateway of India, the hotel is a gracious landmark of the city of Mumbai, showcasing contemporary Indian influences along with beautiful vaulted alabaster ceilings, onyx columns, graceful archways, hand-woven silk carpets, crystal chandeliers, a magnificent art collection, an eclectic collection of furniture, and a dramatic cantilever stairway. Thompson Hotels - Luxury, boutique hotels for the sophisticated traveler, located in some of the world's most desirable destinations: Chicago, London, Los Angeles, New York, Toronto. Tryp Habana Libre (Havana, Cuba) - One of the most emblematic hotels in Havana. Located in the heart of the Vedado district. This majestic 25- story hotel (572 rooms) offers a unique view of the ocean and of the magical city. Also see Wikipedia entry.The hotel was built as the Habana Hilton, under the personal auspices of President Fulgencio Batista. Opened on March 22, 1958, with Conrad Hilton himself in attendance, the Habana Hilton was Latin America's tallest and largest hotel. Following the entry of Fidel Castro into Havana, on January 8, 1959, the hotel became his headquarters. In 1996 the Spanish Sol Meliá chain assumed management of the hotel. It was placed in their Tryp division of urban hotels and renamed Hotel Tryp Habana Libre. Ventana Inn and Spa - Located on 243 acres in the heart of Big Sur, the Inn's unique one-and two-story buildings blend seamlessly into their natural surroundings. Relax poolside, soak in Japanese hot baths, dine at the Ventana Bistro, rejuvenate at the spa. Afternoon wine and cheese reception, daily yoga classes, guided discovery walk, and a sumptuous breakfast complete the Ventana experience. Vicarage Hotel - The 'Vicarage' is a family run hotel, taking pride in offering its guests a relaxing and charming 'home from home' in London with many guests returning on a regular basis. This splendid Victorian house which retains many original features is situated in a quiet residential garden square in a particularly pleasant part of the Royal Borough of Kensington, yet only a stroll away from the exciting shopping in High Street Kensington, Knightsbridge and Portobello Market. W Hotels - Properties in Miami (South Beach), Newark, San Francisco, Chicago, New Orleans, Washington, D.C., Philadelphia, San Diego, as well as the company's first international property in Sydney, Australia. Walker Hotel Greenwich Village, New York City - Inspired by the Georgian architecture in Greenwich Village and the neighborhood's history, this 18-story boutique hotel in downtown Manhattan welcomes you home with its stunning façade. Inside, Art Deco meets bohemian in the lobby, while rooms are stylish with a touch of vintage, distinctly inspired by classic NYC living. Complimentary perks, from Wi-Fi and the fitness center to shoeshine services and C.O. Bigelow bath products, encourage you to unwind at the cozy getaway in the Village, safely secluded from the buzz of the city. Watergate Hotel - Washington, D.C. Almost a decade after the Watergate closed its doors, the new owners, Jacques and Rakel Cohen and their development company, have reopened it on a bet that a $125 million renovation to restore its midcentury roots - along with its scandal-laden history - can start a renaissance for the hotel and the offices and residences that surround it. The lobby is now framed with sleek bent-metal fixtures and brightly colored oblong furniture designed by Mr. Arad. Mrs. Cohen also asked Janie Bryant, the costume designer of Mad Men fame, to create period-inspired uniforms for bellhops, concierges and other employees. Presidential suites, which start at $12,000 a night, have sweeping views of the Potomac and nearby Georgetown. A new rooftop bar has a 360-degree views of the city and the surrounding area. Willard, The - Located just one block from the White House. Internationally known as one of the best hotels in Washington D.C., The Willard's unique blend of contemporary luxury, historic charm and sustainable hospitality subtly reflects the spirit of the city. Xanterra Parks and Resorts - The largest park concessions management company in the U.S. Its operations span the country - from the lush wilderness of Ohio's state parks to the magical desert of Death Valley. See complete listing of state and national park operations and conference centers here. Y Talbot - Tregaron, Wales. Offers board and bed in a stone-constructed pub with nine rooms. The rooms are updated with bright decor, and while each is distinct in layout, several offer walkout access to or balcony views over a rear garden. The pub champions local and sustainable ingredients, and the bar features Welsh cask ales brewed nearby. This webpage last updated on Tuesday, November 7, 2017 6:23 PM.